Dress is in beautiful condition - worn once and then was professionally dry cleaned a couple of days later. Properly stored in a smoke-free, clean, and dry/air-conditioned environment (see picture shown of storage in sealed box). Original size 4 dress was altered to fit me in my typical dress size 2 / 34D bust / height 5'9" (without heels). 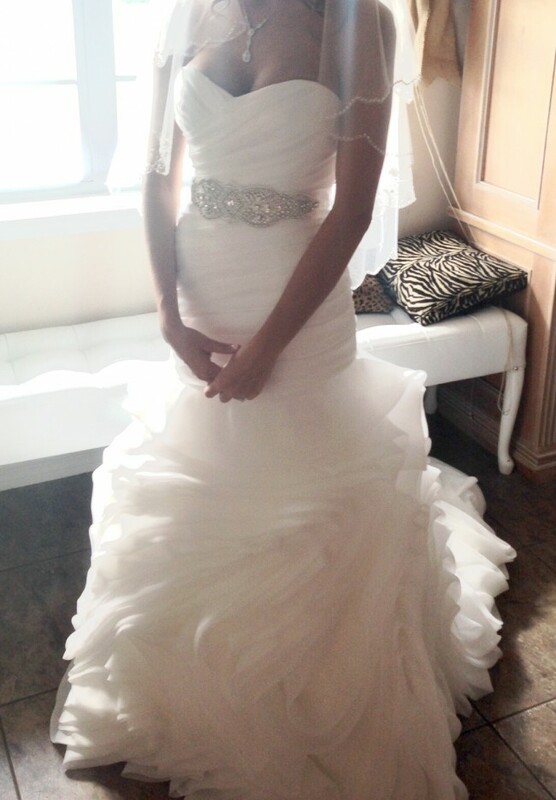 The belt shown (not included) was tied and not sewn on to the dress.